You've seen them, heck, a lot of us have seen them and, at some point, probably used a pattern out of them. 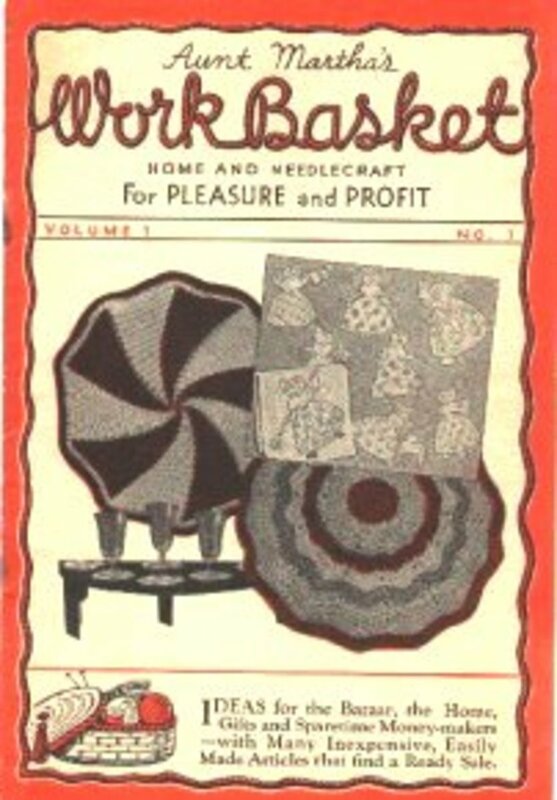 The 'Workbasket Magazine' started out as 'Aunt Martha's Workbasket, Home and Needlecraft for Pleasure and Profit' in October of 1935. It was the brainchild of Clara and Jack Tillotson from Kansas City, MO. The Great Depression had the country in it's grip and if people needed something, they made it for themselves. There was no money to buy anything and sometimes if you had the money, what you were looking for wasn't on the shelves. A magazine that supplied people with the patterns to make things for themselves was just what was needed at that time. The first publication was a 16 page issue and, at the time, they were printed on newsprint, not the glossy stuff that is used now for magazines. The original price for the magazine? 15 cents per copy or $ 1.00 for a year's subscription. That was a standard magazine subscription price for that decade. If you happen to see any 'Workbasket magazines' from 1935 thru 1944, do the author a favor and contact her with any information of available copies. Due to the paper drives during the 2nd World War most of these were recycled and destroyed. But the publication stayed strong. Subscriptions continued to increase and the Tillotson family published the Workbasket 12 times a year from the Modern Handcraft publishing company that they had formed. Each issue had advertisements in it of additional individual patterns that could be ordered from Modern Handcraft. The Tillotson family had formed the company to support themselves and they were determined to succeed. 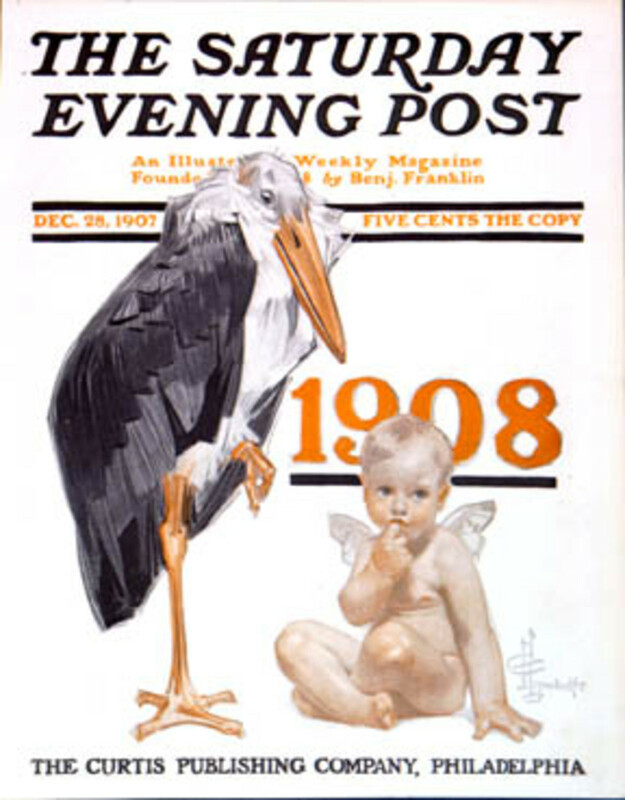 Format changes to the magazine were made several times over the years and the digest size with a variety of craft patterns for each issue was settled on early on in the publishing. They catered to all the crafts, each month could have crochet, knitting, quilting, embroidery, tatting, etc., patterns in it. That was one of the genius qualities of the magazine, they diversified their content early so as new trends became popular they could be included in the patterns offered. Just the same with trends that had run their course. 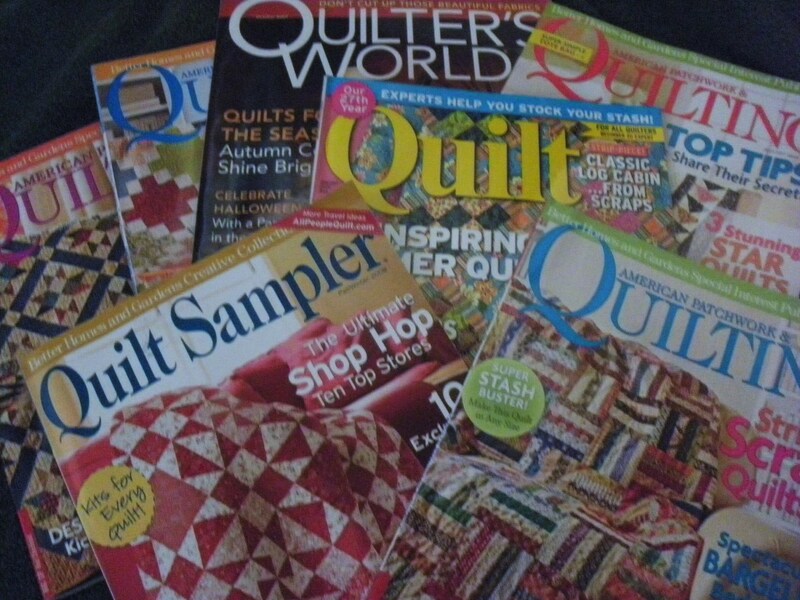 When the magazine first started there were tatting and quilting patterns published on a regular basis. As time went on and tatting fell out of favor those patterns disappeared from the magazine. I don't think there were any tatting patterns at all in the 80s decade of the magazine. 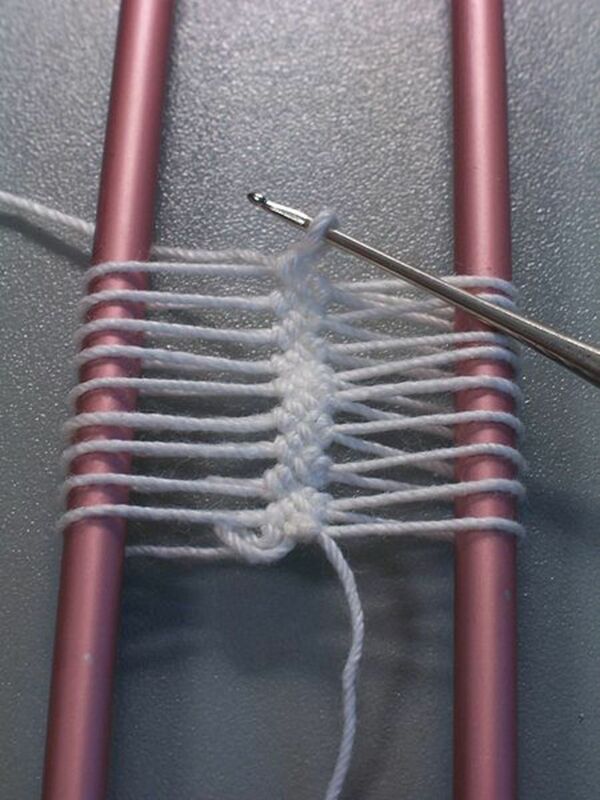 When macrame became popular in the 70s, those patterns appeared in the magazine. When macrame faded away, so did the patterns. Aunt Martha has disappeared from the cover. In 1942, Aunt Martha had been dropped from the title of the magazine. As the magazine expanded and went to color, more changes were made to the impress. In 1960 everything was dropped from the title except 'The Workbasket'. They didn't even have to put magazine with it. By then if someone mentioned 'Workbasket', you knew they were talking about the magazine. 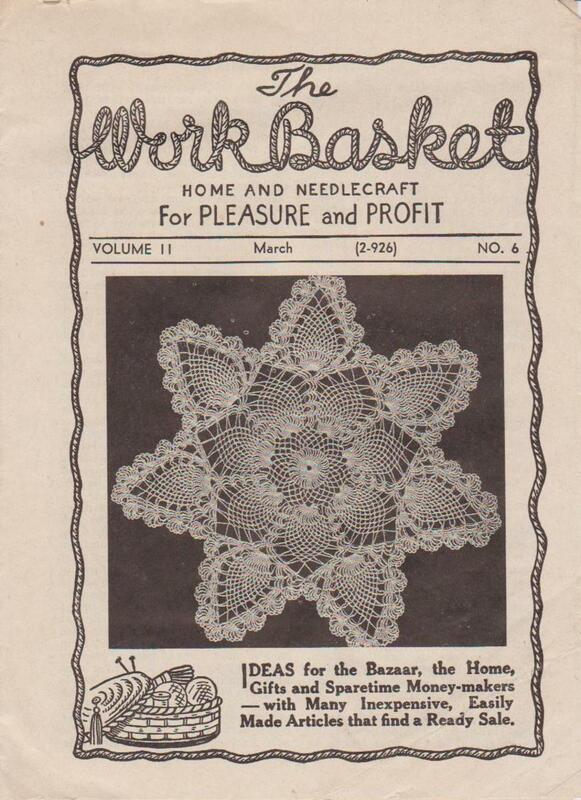 Other magazines such as 'McCall's' and 'Ladies Home Journal' had some publications for crafts but 'Workbasket' was still leading the field. As 'Workbasket' expanded their subscription list, they also added to the articles offered in the magazine; recipes sent in by readers, Junior Workbasket - crafts for the kids, Women Who Make Cents - ideas for people to use at craft fairs, flower and garden tips for questions sent in by the readers and instructions on the latest fad in crafts.They listened to their readers and responded, which was part of their great success. 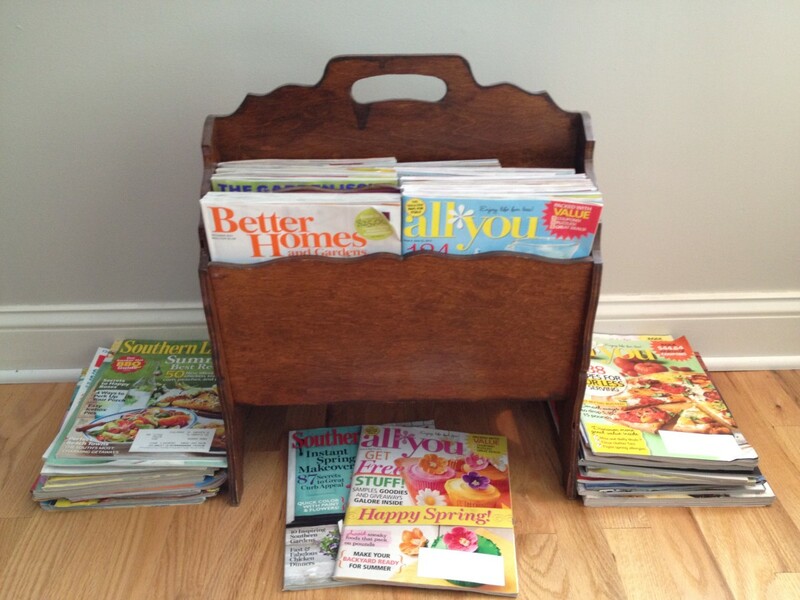 In my home, each issue was looked forward to eagerly each month. The magazine, still digest sized, grew to over 80 pages for some issues with the addition of other advertisers and the new articles. Browsing through the books in sequential order is a trip into another world. The advertisements and articles show the attitudes that were held in the 40s, 50s, 60s, etc. While at the time there was nothing wrong with the way the ads were written, now they would all be criticized for political incorrectness. Looking back on them now can either give you the shudders or a good laugh depending upon your attitude towards 'a woman's place'. These magazines were geared towards the woman staying in the home and supporting her family with good food, well made clothing and a comfortable home. Not quite the attitude we have today. In the 90s Modern Handcraft publishing started to struggle. By now there were several entries in the craft magazine area and even though 'Workbasket' continued to move with the times to offer the new crafts as they hit the trend there were editorial decisions that didn't keep them on the cutting edge. The perception of the magazine was that it was your granny's or auntie's craft magazine. All the decades of 'a woman's place was in the home' articles had become synonymous with the magazine. In April, 1991 instead of publishing every month, they went to a bi-monthly schedule. They also started featuring current TV and Radio stars on the cover in an effort to compete with the other craft magazines on the magazine stands. But, it didn't work, in 1996 after the Feb/Mar issue had been sent out, 'Workbasket' magazine was sold to the KC Publishing Inc. company. The next issue that subscribers received was a 'Flower and Garden Crafts'. There was no advance notification of this change to the subscribers. After 671 issues of a darn fine magazine, it just disappeared. You'll find information on the Net that tells you of the different incarnations that the magazine went through after that and who owns it now after it's been sold more than once. But that's not the 'Workbasket'. 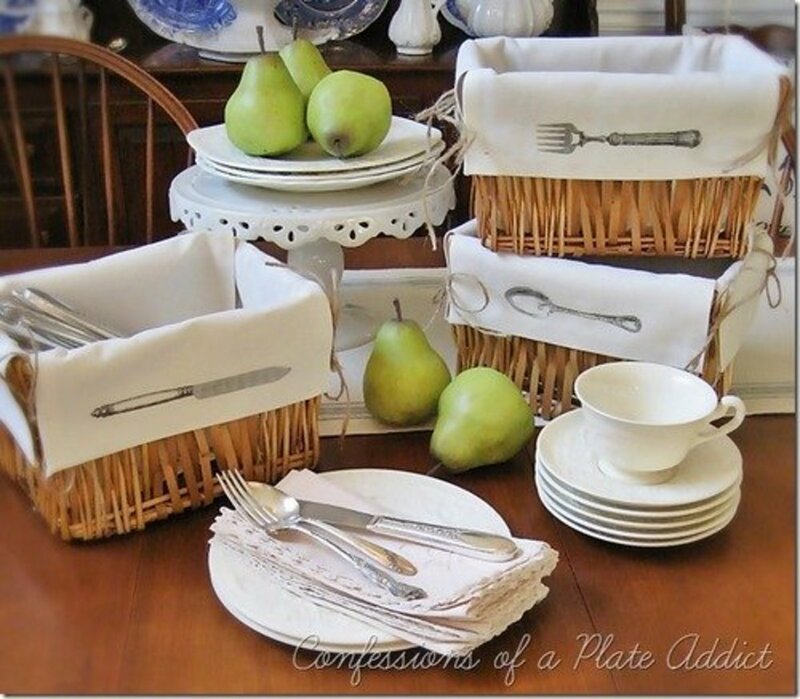 The last 'Workbasket' issue was published in March, 1996 and it still had the same quality craft patterns in it that were there at the beginning in 1935. Not too many companies can have a 61 year track record with that kind of quality. I would love to find a recipe that my mom made for years from it Called Chocolate Oatmeal Cake. Any websites that do the recipes or anyone here by chance have it?? Enjoyed the article. 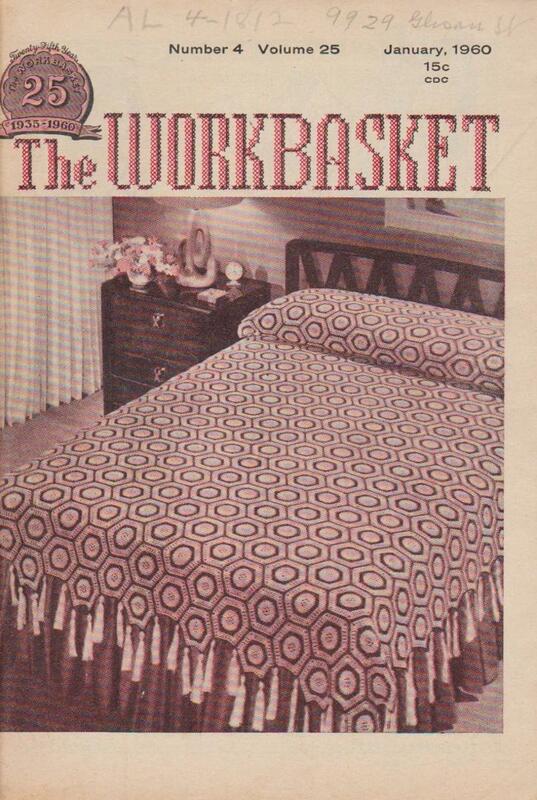 Workbasket actually continued to have tatting patterns into the 90s. I have my grandmother's work basket . I really do miss this magazine. My mom use to subscribe to that magazine and that's how I got patterns for crocheting. And learned other things too. My name is Mary J. Sanchez, I bought some embroidery patterns were given to me. I really do like them for there are so many differ designs. 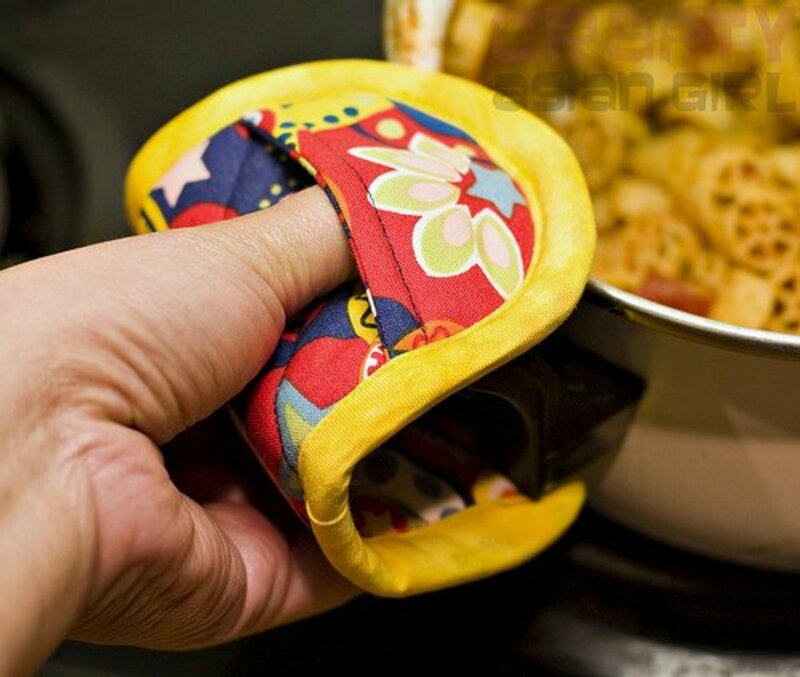 They are great for pillow cases, that wish to do one day soon. They are in a original envelope that the patterns were sent in. This is where I found that you were in 543 Westport Road, Kansas City 11, MO. The subscribers could order the 12 issues for only $1.50. . it said that it would send you a stamped apron for free 4ME 1027 for free. . I just love them. Thank your for listening to me marysanchez1954@yahoo.com. Subscribed to this wonderful magazine in the 1980's. It was wonderful because it had information on everything in one place. Thanks for the cool memories Mary Jane! My wife will like this hub. She's into arts and crafts. Up, Useful, Interesting, and shared. I just took a peek, and there are copies and lots for sale in eBay. I am looking for a pattern for a Christmas tree skirt that had six panels with one opening in order to circle a Chritmas tree. Each panel has a different crocheted pattern sewn on, wreath, candle, ornament, etc. I kept what I thought was the pattern but it turns out that I am missing the directions and have only the picture. I have Workbasket Magazines going back to the early 60's. Even have the 'How to" book published in the '40's. Would not part with them. I have made several items featured in this little magazine.